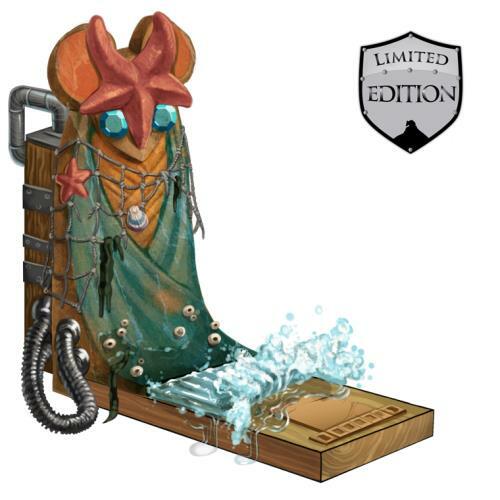 The Isle Idol Trap is a Limited Edition Physical type weapon that was sold with two Limited Edition Trap Skins that change the base trap's stats, power type, and area-specific effects when applied. The basic Isle Idol Trap is a Physical weapon. The basic Isle Idol Trap doubles the range of Delicious Stones dropped (rather than the drops themselves) in Derr Dunes. Therefore, if a mouse can normally drop 1 -3 loot, it will drop between 2 and 6 (odd numbers included) with the trap. Any intrepid mouse explorers investigating the cheese on this trap will have their work cut out for them. They had better make sure that they have steady paws, a carefully-weighed bag of sand, and really swift legs just in case something goes wrong! The power of the rolling boulder on this trap is hefty enough to knock double Delicious Stones out of the pockets of any Derr Dunes mice slow enough to be caught in its path. The Isle Idol Hydroplane Skin converts the Isle Idol Trap into a Hydro weapon. The Isle Idol Stakeshooter Skin converts the Isle Idol Trap into a Tactical weapon. The Isle Idol Stakeshooter Skinned Isle Idol Trap doubles the range of Savoury Vegetables dropped (rather than the drops themselves) in Nerg Plains. Therefore, if a mouse can normally drop 1 -3 loot, it will drop between 2 and 6 (odd numbers included) with the trap. Though this trap may look low-tech, there's a modern thermographic camera behind each eye-gem, and a high-PSI tank of compressed air powering those sharpened stakes. 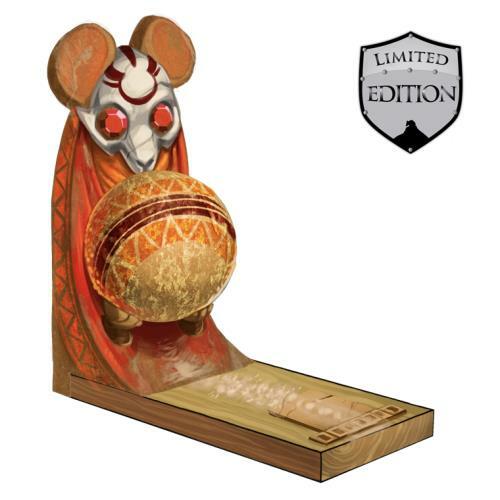 Only the quickest and most careful mice will be able snag cheese from this trap unscathed! Nerg mice who try to skip and dodge around all the flying flora will be so distracted that any who are caught will drop double the Savory Vegetables. The Isle Idol Trap and Skins are Limited Edition and can no longer be acquired by Hunters. They were obtained from the Isle Idol Box Set, which was available to be purchased for 1,250,000 gold from Ronza's Traveling Shoppe during Ronza's March 2013 visit. The box could be refunded for 750,000 gold at the same location, if left unopened. 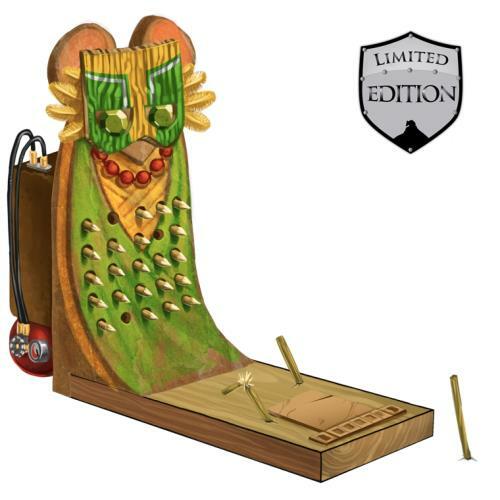 7 March 2013: The Isle Idol Trap was introduced as part of MouseHunt's Fifth Birthday event. The Isle Idol Trap skins are the first to alter the properties of a weapon. The descriptions reference Indiana Jones and the Raiders of the Lost Ark. This page was last edited on 26 February 2019, at 17:36.